I saw this picture in another paper, as well. 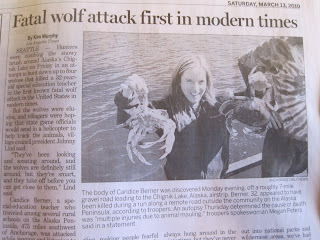 That woman in the photo is the one who was attacked by a wolf. Those kinds of stories always make me a bit sad. She looks so full of life.